Starting a business for myself has been a dream of mine for many years. My long term goal in life has always been to be an entrepreneur. After years of putting it off, I have stepped out on faith to begin this journey. Wanting to have more flexibility and availability for my growing boys has been my biggest motivation in recent years to finally pursue my desire of starting my own business. I spent nearly 9 years working in the legal field. I started as a receptionist at a small firm through a temp agency and eventually ended up working at the firm for nearly 6 years. During my tenure there, I transitioned from receptionist to legal assistant and went on to college to pursue a degree in Administrative Office Technology. I have thoroughly enjoyed working as a paralegal, but I have always had a desire to become an entrepreneur. Years ago, I didn’t think I could use my skill set to start a home-based business; however, virtual assistants have become more common with the change in times and advances of technology. In my years of working for small business owners, I have seen firsthand how important and beneficial competent support staff is to increasing business and maintaining a successful business. Small business owners and entrepreneurs have the arduous task of wearing multiple hats. My desire is to help alleviate some of the smaller, mundane responsibilities of your day-to-day operation to enable you to focus on more pertinent details of your business. My business is to help you grow your business by helping you reclaim your time. 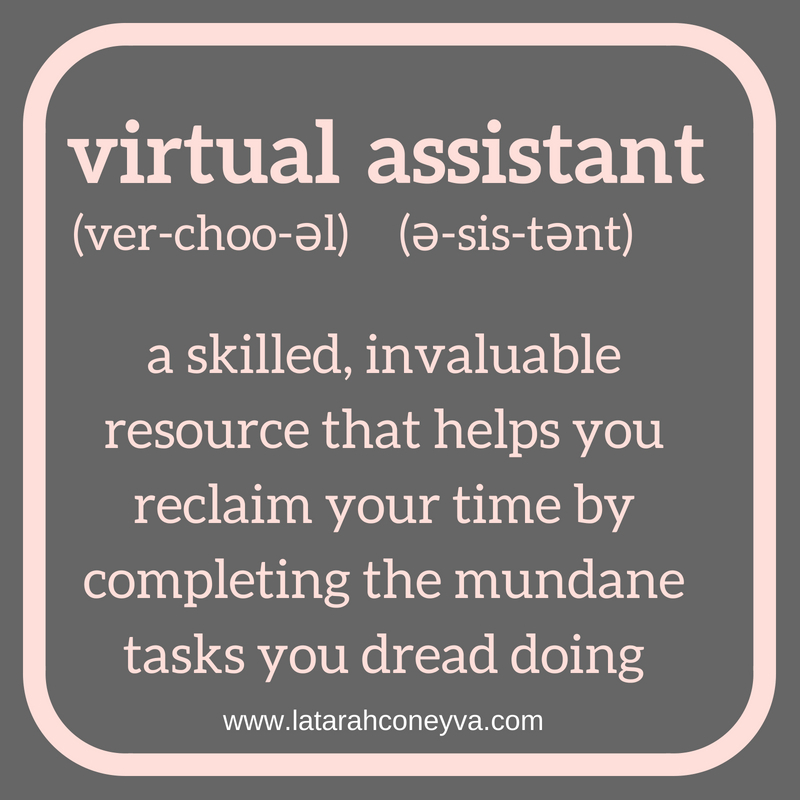 Delegating tasks to a virtual assistant can help you increase your productivity, strengthen weak areas, and create margins in your life. Your success is my success! Contact me today. Let’s discuss how I can serve you and your business.